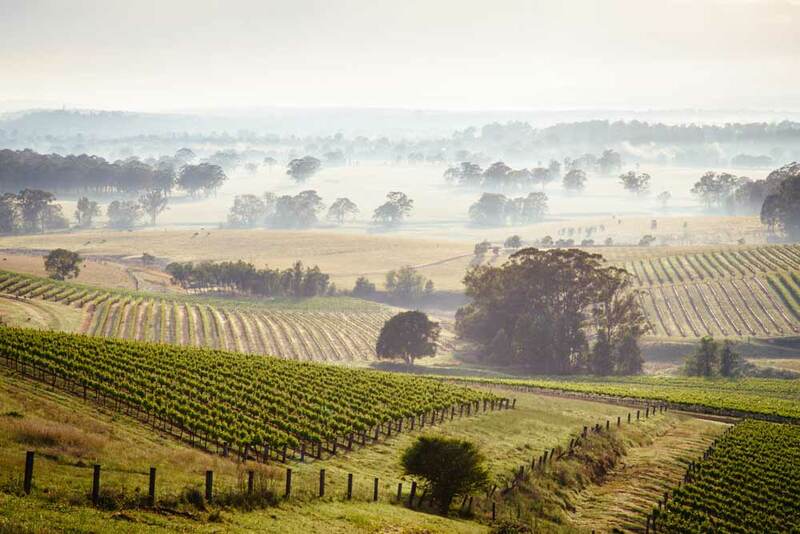 Nothing says relaxation like a weekend getaway to Australia’s oldest wine region, the beautiful Hunter Valley. A short leisurely drive from the heart of Sydney’s CBD, Route T33 will take you through New South Wales’ scenic mountain country via the historic townofWollombi, located on the fringe of World HeritagelistedYengo National Forest. Boasting more than 150 wineries, the Hunter Valley is not just for lovers of wine; the region offers picturesque landscapes at every turn, delectable and fresh local produce, day spas, horse-riding adventures, golf courses, farmers markets, antiques and much more. Wind down in the Hunter Valley’s most popular regions of Pokolbin or Cessnock, where you’ll find a variety of accommodation from luxury hotels to bed & breakfasts and health retreats. A few Pokolbin favourites include Golden Door Health Retreat and Spa for wellbeing, The Convent Hunter Valley – A Pepper’s Resort for classic countryside, or The Carriages, a bespoke boutique hotel with its own cellar door for a little romance. Take your pick! While you’re spoilt for choice in the Hunter Valley with some of Australia’s most recognised vineyards including Tyrell’s Wines, Tulloch Wines and Tempus Two, there are also smaller, boutique cellar doors that are a definite must-see for any weekend warrior. A young winemaker that is making its mark on the region is Usher Tinkler, where you’ll find a small selection of avant-garde wines to accompany your charcuterie and cheese board. If you prefer the hops, the Hunter Beer Co will satisfy you with an array of beers to sample and savour. Feeling peckish between wine tastings? Enjoy a coffee and light lunch at Potters Hotel Brewery or the Lovedale Smokehouse Gourmet Pantry and Café. For an exceptional dining experience, head to one of the Hunter Valley’s most coveted establishments, Restaurant Botanica, which offers a five course degustation with matching wines with a view out to the vineyards. The award-winning Hatted Restaurant at Circa 1876 is also a popular destination, with world-class cuisine using freshly-sourced local produce. And f you don’t mind a little drive off the beaten track, Bistro Molines provides a delectable menu to enjoy within its luscious surrounds reminiscent of the south of France. Heaven indeed.